Barcelona is an amazing European city which sees huge amounts of tourists each year and for Europeans, it really makes for an outstanding weekend destination. If you have had ideas of spending a weekend in the Catalan capital, you are going to want to keep your schedule nice and tight and not lose a minute of time in this incredible city. As with many destinations, there are certain things which you simply must do in Barcelona and we have put together our top 5 activities which we think cannot be missed. Time is crucial so forget public transport, book an airport transfer, set your bags down and head out to complete our activity list. 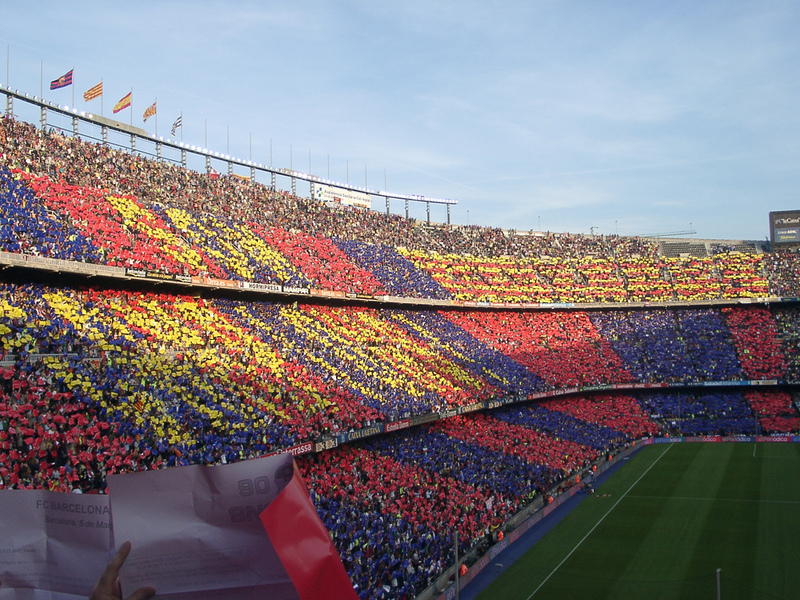 The Camp Nou is home of the mighty Barcelona football team, a club with an incredible history of success that has boasted some of the finest footballers on the planet through the years. You can either take a tour and walk in the steps of Maradona, Ronaldinho and Messi or alternatively catch a game if they are playing at home whilst you are there. Either option makes for a great experience. La Sagrada Familia is the as-yet unfinished masterpiece of architect Antoni Gaudi, the man who designed many of the iconic buildings in the city. Despite its ‘under-construction’ status, you can still visit the cathedral and enjoy some of the finest architecture in the world, tours are available if you want to get behind the scenes. For art lovers, the Picasso museum is an absolute must and it is here that you will find the largest collection of his works in the world. The museum was actually opened whilst the artist was still alive and he contributed a great many paintings, sculptures and sketches to the collection. The old city center of Barcelona is now known as the Gothic Quarter and you should most definitely pencil in some time to pass in this beautiful area of the city. Throughout these mazy streets you will stumble upon a great amount of charming cafes, bars and restaurants, you will see local street traders selling their wares as well as the occasional plaza where locals are dancing the day away. La Rambla is the main street which heads down from the Gothic Quarter to the harbor which sits on the Mediterranean coast. This street is a great place for shopping and partying on a nighttime but without question one of the best ways to enjoy this area of the city is to grab a beer or a glass of wine, sit in one of the bars in the center of the street and watch the hoards of people pass by. Have you been to Barcelona already? What do you think of our list? Let us know what you would add or change in the comments section below, we’d love to know what you think.